Thank you for choosing APEX, where we provide the best-affordable online continuing education for funeral directors and embalmers who need CE for license renewal. 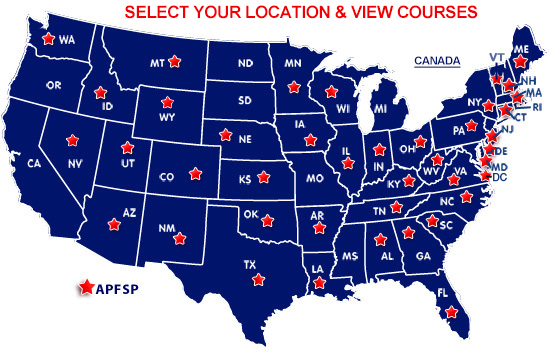 APEX courses are approved across the United States, as well as by the Academy of Professional Funeral Service Practice (APFSP). We tell you which questions were answered correctly or incorrectly when you pass a quiz, because our goal is to provide online CE that is informative as well as affordable. Our expert instructors include Todd W. Van Beck, renowned for his vast knowledge and experience in funeral service education. Certificates of Attendance can be printed online immediately, and you will always have access to those as well as to course materials. There are: NO time limits; NO hidden reporting fees, and we guarantee satisfaction or you get your money back. Are you someone who doesn't care for computers or the Internet? APEX also offers you the choice of funeral service CE by mail. Either way courses can be ordered individually, or often in special "Course Pacs" that save you time and money. If you need funeral director continuing education or embalmer continuing education, APEX is the right choice because our solutions keep it all simple.